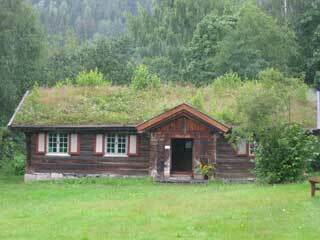 The development of a new Veggli Cultural and Educational Center is planned in the Village of Veggli in Norway. This center will feature the history and collection of John Aasen and the immigration history of families from the Numedal valley. The cottage in which John's Aunt Margit and his Grandfather “Big Daniel” once lived will be moved to the site. 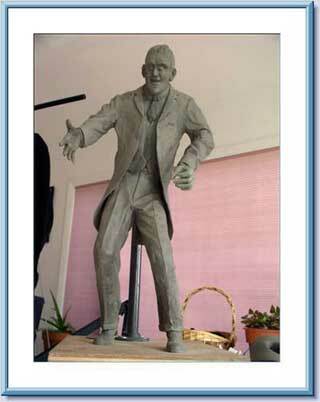 In addition, as a centerpiece of the Cultural Center, a life-size bronze statue of John Aasen will be placed on the grounds. Below is a 24" working maquette of the proposed statue of the "Norwegian Giant" for the Veggli Cultural and Education Center. The maquette was sculptured by Wyoming artist Jacques Bakke and is planned to be cast as an 8' 3" bronze statue by Eagle Bronze Foundry, Lander Wyoming.